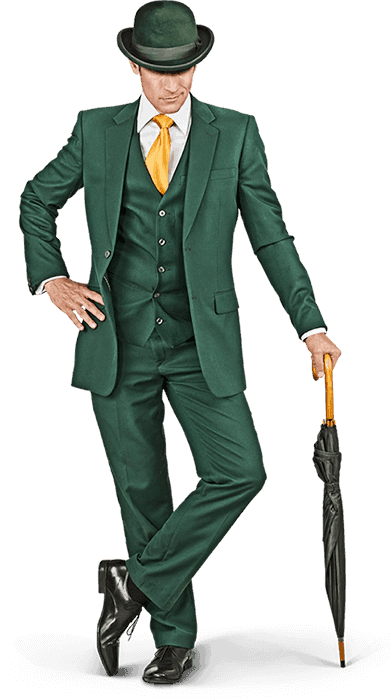 Mr Green Casino Christmas Calendar 2018 gives you a festive holiday! Count down to Christmas with Mr Green! When you think of the colour green during the festive period, the mind may immediately be drawn to the Grinch. Thankfully, there’s more than one mysterious Green coloured character doing the rounds this Christmas, as Mr Green will be spreading some festive cheer! While the Grinch plunders from underneath the tree, Mr Green will be offering cheer and goodwill to all with his 2018 Christmas Calendar. Irish punters are in for a treat this Christmas as the Mr Green Christmas Calendar has a litany of top prizes to give away and plenty of new and exciting games to play. As the nights get darker, there are plenty of fun new games to brighten up your evenings. If you don’t win on your first few attempts, do not fear – the calendar s running all the way from November 16th until December 31st, so there’s plenty of opportunities to take advantage of the promo. 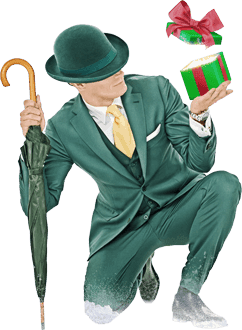 Christmas isn’t just for children – Mr Green is providing the best (extended) advent calendar any sport or casino bettor could want on their wish list. Forget chocolates; Mr Green has prizes and games you’ll enjoy! The doors on this calendar are ready to open before and throughout Christmas, all the way up to New Year’s Eve. There will be free spins on a large array of slot games with excellent and unique offers across casino, live casino and the sports book as well. Mr Green? More like Mr Generous, this Yuletide – thanks to the amount of prizes on offer, including gadgets and holidays, as well as cash prizes; keep your eyes open for special events where you can win! On top of this, there’s going to be a tonne of new games rolled out over the Christmas period, meaning you’ll get to try your hand at great new games as they get revealed on a daily basis throughout the promotion. I’ve been good – How do I get involved? Every day during Mr Green’s Christmas calendar, players can visit the casino and open a new window on the calendar. The window will reveal what prizes are up for grabs, and how you can go about winning them. Don’t forget to check in over the period between November 16th and December 31st to see the daily changes! You’ll find new games, great prizes and more – there’s plenty to look forward to at Mr Green over Christmas. This Christmas, will I get what I want? Mr Green’s Christmas sack is almost bursting with presents to be shared out among all the boys and girls! 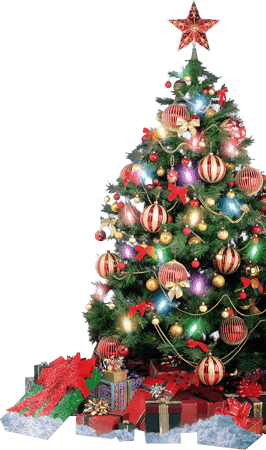 With so much to go around, you won’t need a Christmas miracle to be a prize winner here. With each days comes to great opportunities to win. New games, new ways to play, new prizes – you never know where the free spins for use on slot games could bring you! You may only be a spin away from a Christmas jackpot, so check the calendar and see what’s waiting for you. Do I qualify to take part? Look out for the beginning of the promo on November 16th – instructions as to how you can take advantage of the offers and get your hands on some prizes can be found there, as well as great offers on casino games and sportsbook markets. The full terms and conditions of the calendar will be listed for you. So what are you waiting for? Check out Mr Green’s Casino Christmas Calendar 2018!